The Tango Autolocking Snaplink is designed to give you quick and easy security. 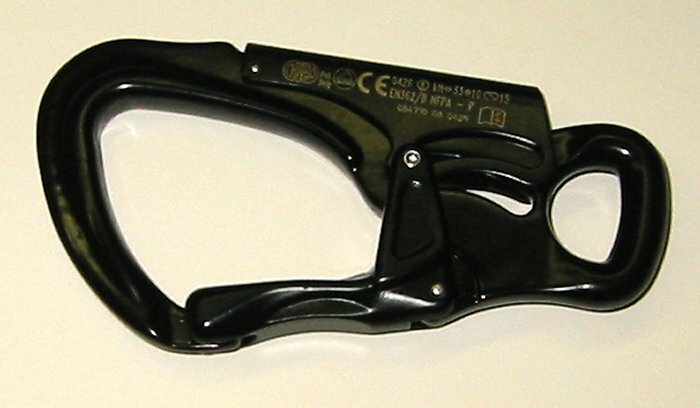 The unique locking device is opened by depressing the lever with your thumb while griping the the frame. When released it autolocks the gate shut for security. Great for personal escape kit or searchline terminations. Keylock gate, captive eye frame, assorted colors or black.